It’s unfortunate that many people get a bad introduction to credit cards, using them to spend more than they can afford. But credit cards do have advantages: They’re better in the case of fraud, make it easier to rent cars or hotel rooms, and can pay you back in the form of cash back and travel rewards. Yet, these benefits are fleeting if cardholders make these three mistakes. Paying a credit card late fee is a huge mistake for two reasons. First, it means you were late to pay your bill. Second, it means you probably didn’t try to get the fee waived. Many credit card companies will waive late fees if you ask nicely; all you have to do is call by phone or open up their online support window. To make tracking your bills easier, you can also request that the card company moves your due date so all of your bills are due at the same time. A first offense will usually set you back $ 25, with subsequent late fees assessed at a rate of $ 35 each. It’s no small matter — they wouldn’t exist if they didn’t add up to easy revenue for the credit card company — and they should be avoided like the plague. Everyone makes a mistake, but several are evidence of a budget problem. If we’re talking about credit card interest, any amount is too much. Few people understand what 18% or even 29% interest means until they see it working against them. Ten years of 29% interest turns $ 1,000 into $ 12,761. When those numbers are negative — meaning you’re on the hook for paying them — small balances can grow into a giant financial pain. People who persistently carry a balance on their credit card probably shouldn’t be using them. Merely treading water on a $ 2,000 balance results in an annual loss of $ 360 due to interest at an 18% rate. For those who want to pay down a credit card balance, balance transfer cards can be an excellent way to do it quickly and efficiently. The best balance transfer cards offer 0% interest for periods that span nearly two years. Those who can successfully manage their budgets and use credit cards are missing out if they’re not getting something for their spending. Many of Fool.com’s best cash-back cards of 2017 offer high cash-back rates on everyday spend, plus bonuses for gas and grocery charges, all with no annual fees. For the typical family, the rewards can really stack up. Those who are a little more diligent and take occasional advantage of sign-up bonuses can likely collect $ 1,000 or more over the course of a year. Households with two adult family members can double up on the one-time bonuses, which can make credit cards especially lucrative. That said, the benefits of rewards cards can be very easily outweighed by high APRs on any balances that aren’t paid off in full. Only those who are diligent about paying off their cards should attempt to collect rewards on their every swipe. The credit card game has a pretty simple scoreboard. If the interest and fee columns on a monthly statement are blank or zeroes, the cardholder is getting more from their credit card — rewards, enhanced fraud protection, etc. — than the card is getting from them. 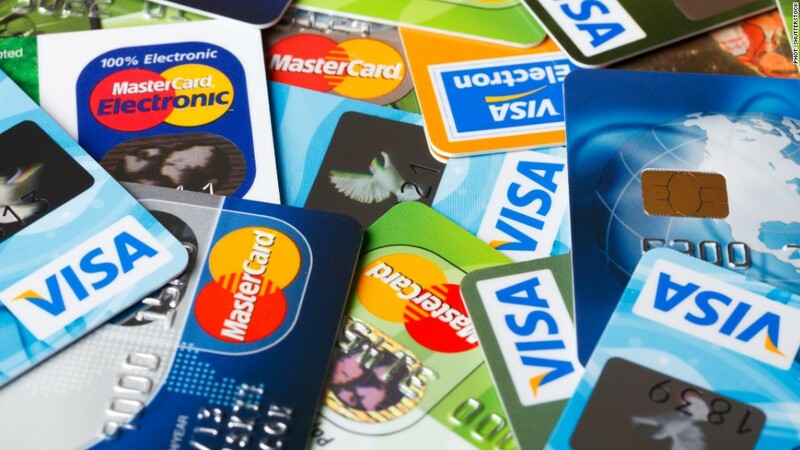 But when either the fee or interest column contains a number, the cardholder is likely losing, and it’s probably time to give up cards altogether.